Team at MARK GODWIN RACING LTD. 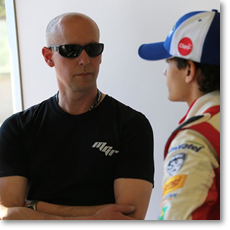 In a career spanning nearly 20 years in top-flight motorsport, Mark has come to be known as the ‘Formula Renault engineer’s engineer’. Mark is also hugely accomplished at recognising and developing the talents of promising young drivers. He can count Danny Watts, ex Honda F1 tester James Rossiter and Red Bull’s Daniel Ricciardo amongst the many champions and future stars he has worked with. 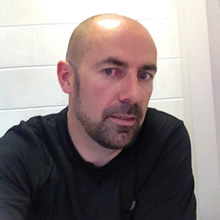 In 2010, after much success with teams such as Fortec, Mark struck out on his own, and established the eponymous Mark Godwin Racing. In 2013 the team dominated the Protyre Formula Renault Championship with Chris Middlehurst – winning the title with a round to spare. Stephen’s formative years in motorsport were spent cutting his teeth as a mechanic in the wildly successful Formula Vauxhall Junior and Lotus championships of the 90’s, plus the exciting Rover Tomcat Turbo series. His commitment to slicks-and-wings racing took him into Formula Renault UK with Scorpio Motorsport and then on to Fortec Motorsports. A climb up the ranks within Fortec to become Team Manager yielded the 2010 Formula Renault BARC Winter series title with Josh Webster. The Intersteps Formula BMW crown followed in 2011 with Jake Dennis. 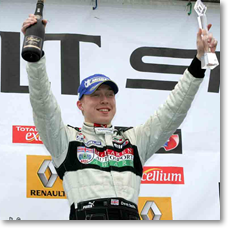 He retained both titles the following year - with Seb Morris (BARC) and Matt Parry (Intersteps) – and went on to spearhead Fortec’s assault on the 2013 Formula Renault 2.0 NEC championship, before bringing his considerable knowledge and legacy of success to MGR. 33 Brookfield Avenue, Loughborough, Leicestershire, LE11 3LN.